Grim news today, as The Hollywood Reporter brings word of Paramount’s diabolical plan to develop a prequel to Grease. If any of our readers have young children present, you may want to close your laptops now, as what we’re about to tell you is incredibly disturbing. Paramount has hired screenwriter John August of Big Fish and Charlie And The Chocolate Factory fame to write the screenplay for a Grease prequel titled–brace yourselves–Summer Loving. It is with heavy hearts that we relay this terrifying news of a prequel to the hit 1978 musical that you once watched on a loop with your 10-year-old friends during sleepovers, much to the vague discomfort of their mothers. 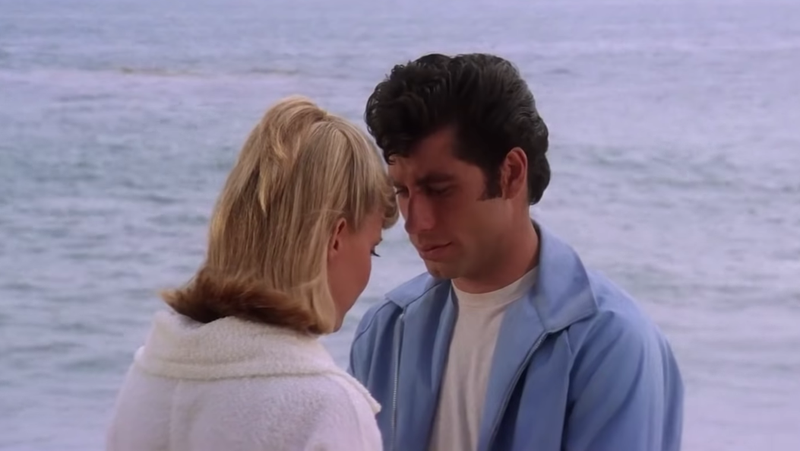 Readers will recall the events of the original Grease, in which naive Australian transfer student Sandy Olsson (Olivia Newton-John) fell for bad boy greaser Danny Zuko (John Travolta) despite their obvious differences. You may also recall a nerve-rattling musical number early in the film, in which Sandy and Danny each describe how they first met over the preceding summer. In a harrowing display of unreliable narration that underscored divides in both class and gender (and its archaic norms), Sandy and Danny tell very different stories about that meeting. His was a salacious retelling of their flesh melding into one; hers a pleasant and tender recollection of harmless embraces. “Tell me more,” their friends demand with shrieks that pale in comparison to the torturous screams Summer Loving will elicit on this nightmare called Earth. The threat of this prequel is imminent. We will keep you posted as the story develops. Good night, and good luck.